Ships within 48 hours after payment clearance. This MAXIM Red Side Shelf hooks to the side of most tool boxes. 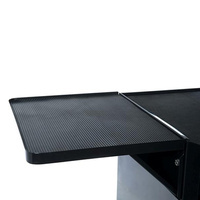 Very sturdy and high rated steel shelf. Increase the work space of your toolboxes. Ideal for placing tools whilst cleaning up. Also works with Snap On Toolboxes, Kincrome and Sidchrome. 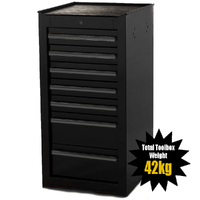 Very sturdy, folds away easily for storage and space saving. 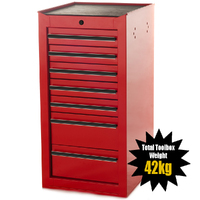 Can be attached to most toolbox brands including Snap On, Kincrome and Sidchrome. 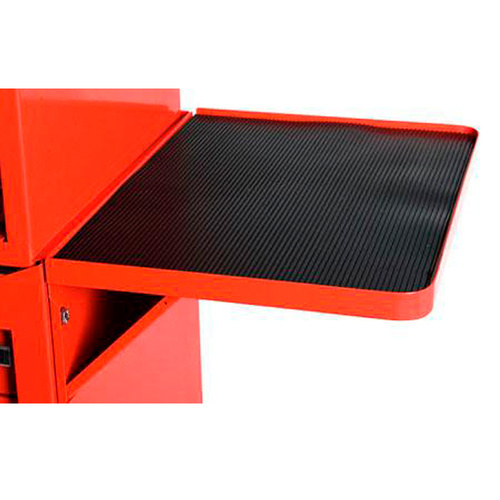 Will increase the capability of your toolbox by increasing your workspace. Quality rubber mat attached and can be removed for easy cleaning. This side shelf is trade quality.